What does moʻokūʻauhau mean? What are some of the meanings of moʻo? Why are the names of people and places so important in Hawaiʻi? In the story, why did the kupuna, or elder, recite ten or twenty names every day when waking up in the morning and before going to bed at night? Traditionally, a person’s worth was assessed based on his lineage. Is this still true today? How is your value determined? In the past, genealogy was transmitted orally, from person to person. How is this different from the way people learn genealogy today? If you could sit at a table with your grandma on one side and her grandma on the other side, what would you ask them? What advice might they give you? Ask a parent or grandparent if your family has a special mark that symbolizes your moʻokūʻauhau. Practice drawing the design until you have memorized the pattern. Na kahi ka malo, na kahi e hume. The loincloth of one, the other can wear. A close relationship. 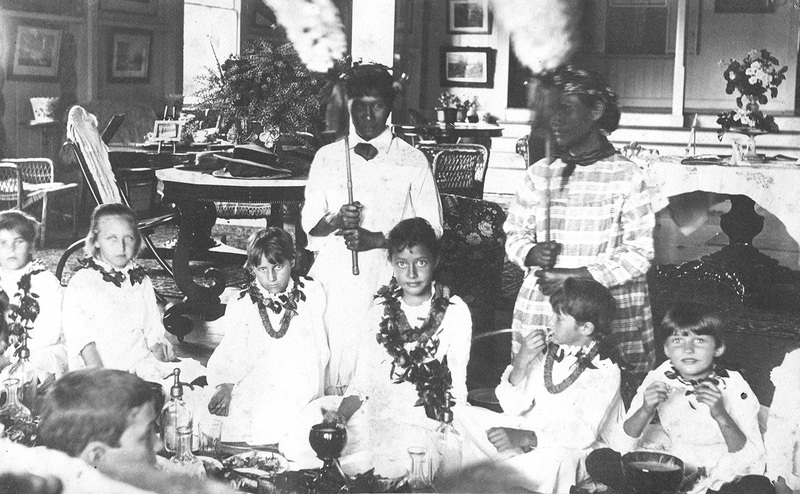 As a general rule, Hawaiians would not wear the clothing of people other than blood relatives. In explaining genealogy to a young relative, this conveyed the idea that a relationship was near enough to warrant the wearing of each other’s clothing. Have you ever heard these questions? These are usually the first questions asked when two people from Hawaiʻi meet for the first time. Where you are from and who your family is say a lot about who you are. These questions are also a way of finding commonalities and making familial connections. As these commonalities are made, we form friendships. But how can we participate and make these important connections if we don’t know our own moʻokūʻauhau? Your moʻokūʻauhau is several things. It is a genealogy, or the study of your family and your history. It traces your lineage back to your ancestors. And it’s so much more than names and dates. You inherited your physical traits—the color of your hair, eyes, and skin—from your biological parents. Their physical traits were passed on from their parents, and so on. Genealogy is the record of your kūpuna from whom you received not only your looks, but also some of your talents and mana. Why was moʻokūʻauhau important before? 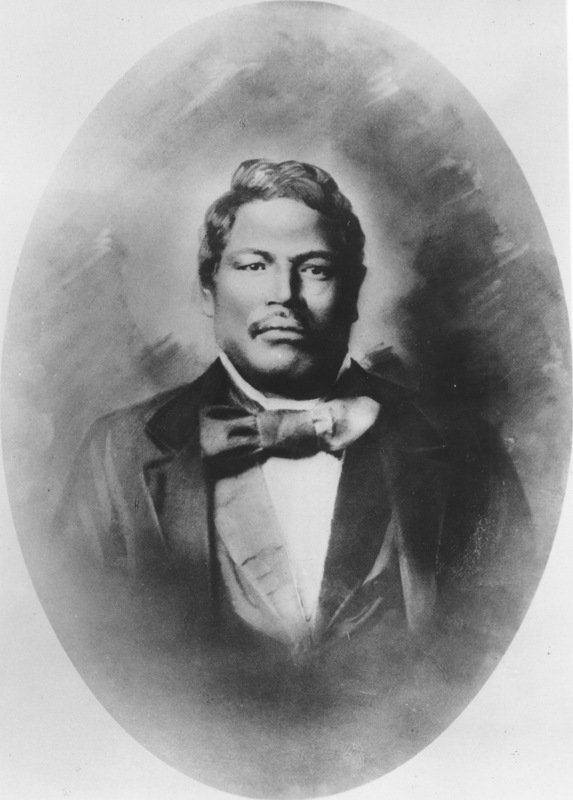 Moʻokūʻauhau set the social order in Hawaiian society. The inherited mana (spiritual power) from your moʻokūʻauhau and the people in your moʻokūʻauhau is what made an aliʻi an aliʻi and a makaʻāinana a makaʻāinana. Mana determined a person’s place in society and was an indicator of abilities and talents. For the aliʻi, the moʻokūʻauhau was revered and performed ceremoniously in chants. 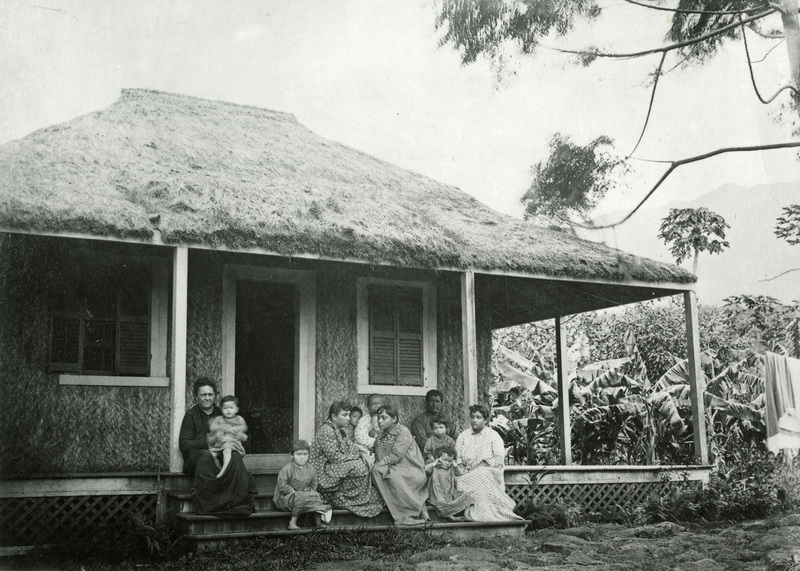 Their moʻokūʻauhau were preserved by kūʻauhau (genealogists), who were taught meticulously from a young age to memorize every generation of their aliʻi’s moʻokūʻauhau. Samuel Mānaiakalani Kamakau, a prolific writer and noted historian, was one such kūʻauhau of the kingdom era. What is the Hale Nauā? A Hale Nauā was erected for the aliʻi nui (ruler), his relatives, and kūʻauhau. “Its purpose was to prevent bloodshed by uniting the chiefs under the bonds of kinship, friendship, and rank” (Emerson in Malo, Hawaiian Antiquities 200). There, study of traditional Hawaiian knowledge and customs took place, including the study of genealogy. To enter the Hale Nauā as a member of the family of the aliʻi nui, it was necessary to recite moʻokūʻauhau as evidence of the relationship. A person approaching the Hale Nauā would be challenged by the people in the hale, “Who is your father, nauā?” The people would ask about the next generation and the next, and this could continue until the tenth generation. They would then ask about the mother’s side until the tenth generation. Were there other traditional venues to share one’s moʻokūʻauhau? Mai kaulaʻi wale i nā iwi kupuna. Do not dry out the bones of the ancestors. Do not discuss your ancestors too freely with strangers, for it is like exposing their bones for all to see. Aia a pa‘i ‘ia ka maka, ha‘i ‘ia kūpuna nāna ‘oe. Only when your face is slapped should you tell who your ancestors are. Hawaiians were taught never to boast of illustrious ancestors. But when one is slandered and called an offspring of worthless people, he should mention his ancestors to prove that the statement is wrong. So, in this way, genealogy was used to counter an insult. How does my moʻokūʻauhau help me today? 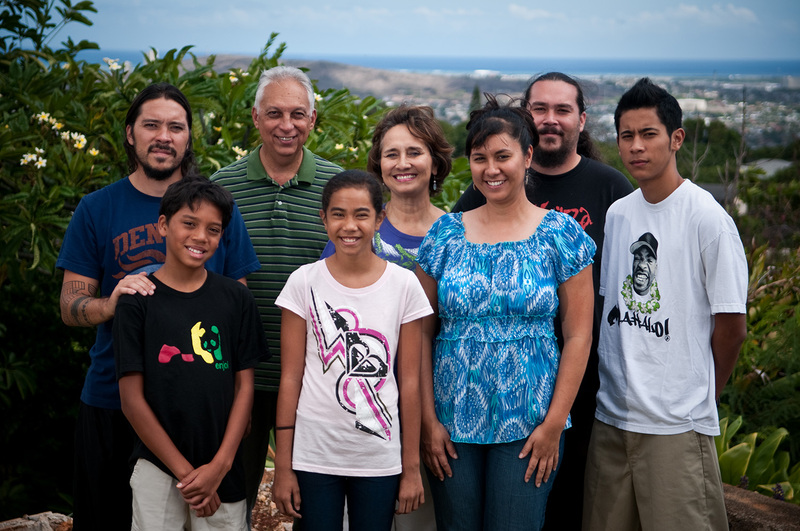 Your moʻokūʻauhau is the moʻolelo (story or history) of your family. These stories contain ʻike kuʻuna (inherited knowledge). They teach who your family is and what is important to your family. These stories also teach values and guiding principles, which aid you in decision making. They teach you what you do and don’t do as a member of your family, your community, and your race. That includes how you interact with others. 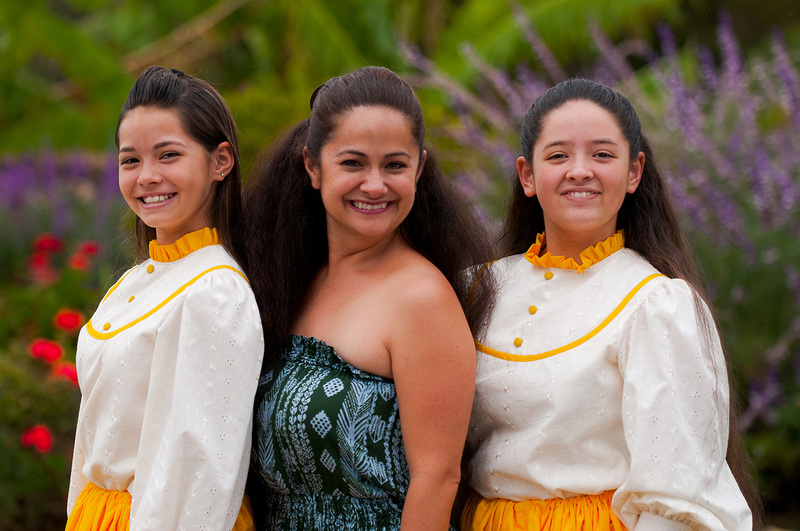 As the moʻolelo guide your actions, they form your character and define your self-identity. Also described in these moʻolelo are connections to people, places, events, and time. Understanding that genealogy affects each of us personally can help us to understand the people around us and those in history, especially Hawaiian history. Understanding your own family becomes a way of understanding other people’s relationships, decisions, and interactions. Also, there are organizations and funds that require a person’s ancestry to be considered a beneficiary. These include the Department of Hawaiian Home Lands, Kamehameha Schools, some Office of Hawaiian Affairs programs, Alu Like, and federal Native Hawaiian education grants. These programs can help you find a home, go to school, go to college, and even get a job. Moʻokūʻauhau helps us stay connected to important things in life, like family—past, present, and future—and place. So, can knowing your moʻokūʻauhau help you today? Yes! In many ways. Nauā ‘oe? Do you know your moʻokūʻauhau? 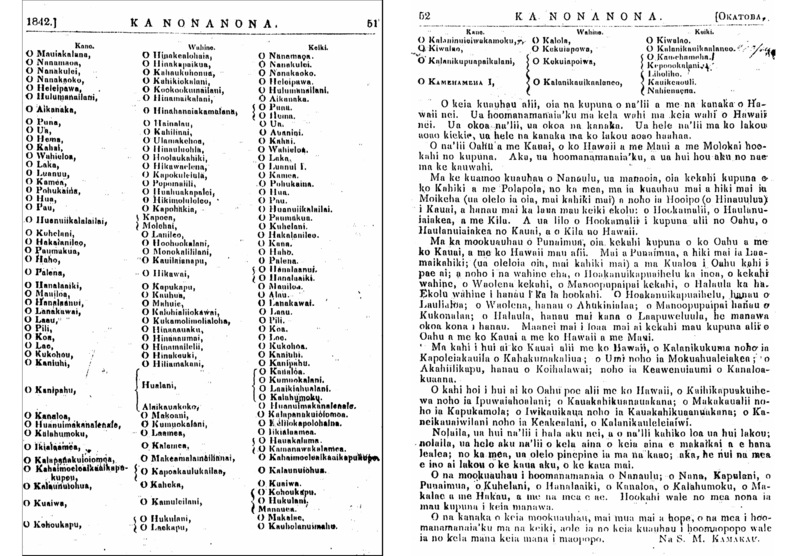 …that the Kumulipo, the genealogy chant composed for the aliʻi Kaʻīamamao, was 2,012 lines long? …that a person had to be related to a chief to serve in his home? “Those who served the chief in his home were usually loyal blood relatives. From childhood they were taught not to discuss the relationship with anyone outside of the household, and always to refer to their chief as Kuʻu haku (My lord), never by any relationship term. Only the chief could mention a relationship if he chose” (ʻŌlelo Noʻeau #2127). Thus the saying, “Ma loko o ka hale, hoʻopuka ʻia ka pili, a ma waho o ka hale, he haku ia (inside of the house you may mention your relationship, but outside of the house your chief is your lord)” (ibid). …that there are genealogies for all kinds of things? Experts in each skill claimed their ‘ike (knowledge) from their teacher who also claimed their ‘ike from their teacher, and so on, forming a genealogy of ‘ike. In the world of hula, it is not uncommon to hear a hula genealogy showing the passing down of hula from a kumu hula to a dancer, whether through devoted study in a hālau (school) or even to an ʻūniki (graduation) from this kumu. Members of the Hale Nauā Society during the time of King Kalākaua (1874–91) had an ipu that contained, among other things, a ball of olonā string that was used for making pūloʻuloʻu, a symbol of kapu or high rank. ©2019 Kamehameha Publishing. All rights reserved.